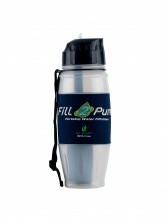 This replacement water filter fits the 28oz Travel Safe Plastic Bottle and has a 100 gallon capacity. Absolute .2 micron filter instantly filters as you drink up to 99.9999% of contaminants from water, including viruses and disease. Each filter provides at least 100 gallons of clean, safe, filtered water, at just cents per gallon. For the Travel-Safe Water Filter Bottle, that's over 500 refills. The size of the replacement filter is 3.1 inche high by 1.4 inches wide. A: This filter fits the 800ml Travel Safe bottle, the Military Canteen and the Water Pump. 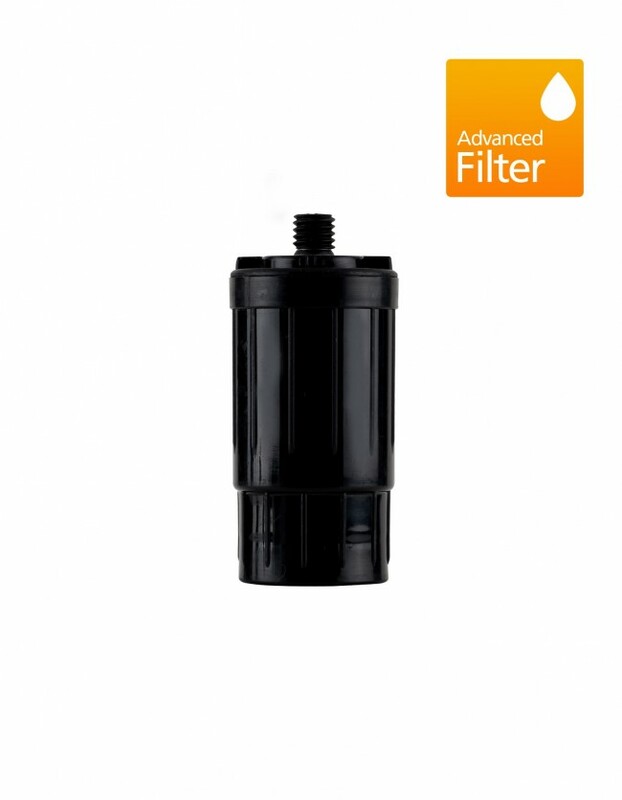 The Advanced Filter can also be used with the Stainless Steel Filter Bottle, however, because it has a 20% reduction in flow rate compared to the Fast-flow Filter, it is deisgned to work best with a bottle that can also be squeezed while drinking. Some customers don't notice a difference using the Advacned Filter with the Stainless Steel Bottles, while others find it noticeably different.